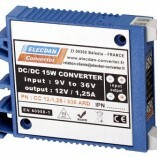 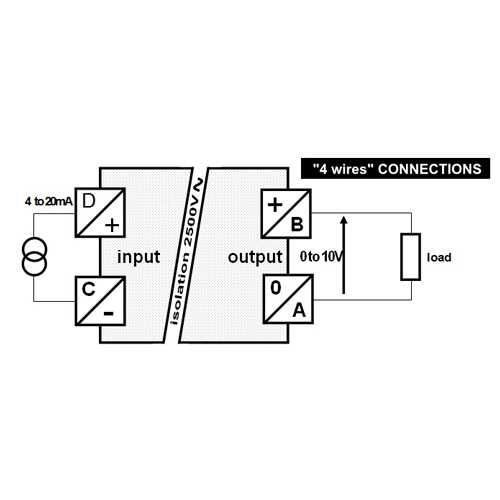 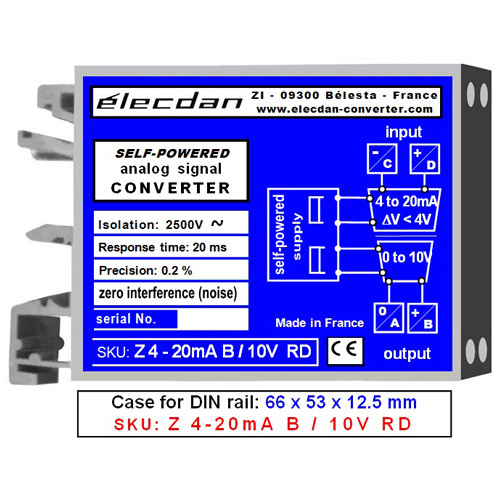 This self-powered current-voltage converter is fully powered on the input current loop and drops less than 3.4V. 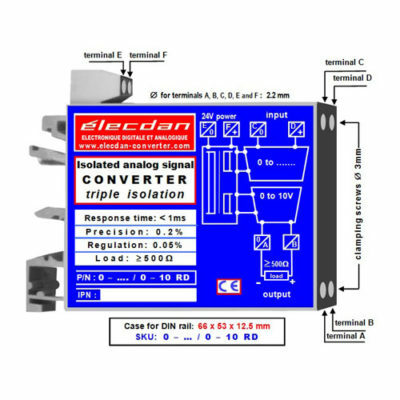 Not generating any noise interference, this “passive” quadripole converts, isolates and outputs within 0 to 10V analog signals from 4 to 20mA applied to its input. 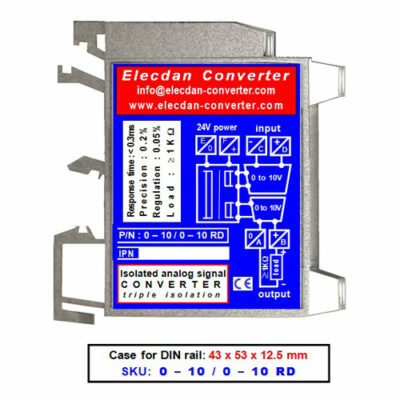 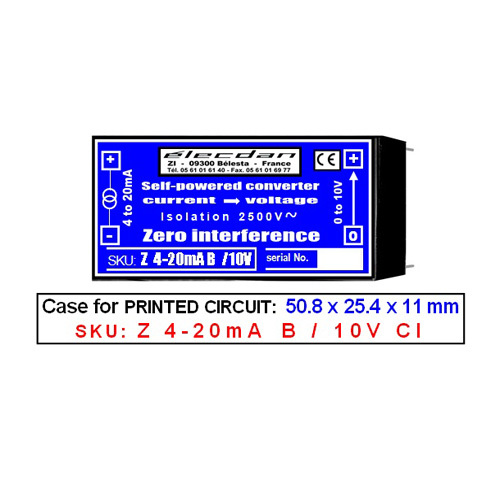 Two channels completely isolated in a box for DIN rail (66 x 53 x 12.5 mm or 50.8 x 50.8 x 11 mm). 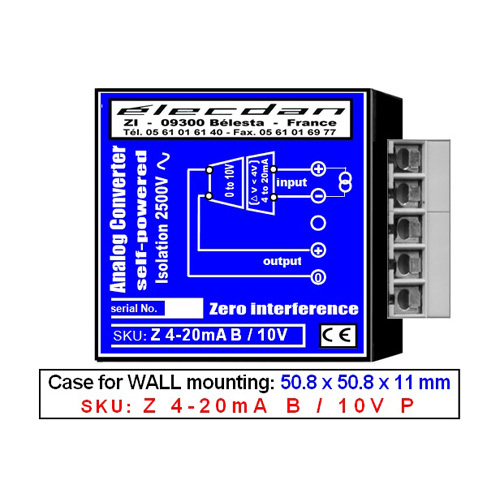 Both inputs can be connected in series.